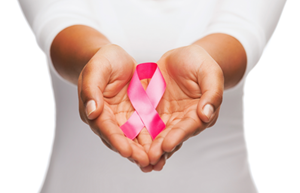 Be proactive with breast cancer risk and genetic testing. Nearly 10 percent of women under the age of 40 with breast cancer have this mutation. Women who carry this mutation usually have a first- or second-degree relative who had premenopausal breast cancer or ovarian cancer at any age. You may have heard in the news when actress Angelina Jolie tested positive for one of these markers and opted to remove the possible source of cancer. This is just an example of how when you are proactive about your health, you can catch issues early and make informed decisions for the best possible outcomes The doctor will work with you to get to the root of your issues.